Researchers at MIT have created bacteria-based workout gear covered in ventilation flaps that automatically open up when you sweat.And that’s just the beginning of what they say “living clothing” will eventually be able to do for us. The team of 14 MIT researchers, funded by New Balance Athletics, have created prototypes of men’s and women’s workout gear, as well as sneakers.”It helps to evaporate your sweat more efficiently,” Wen Wang, chemical engineer and lead author of the paper published in the journal Science Advances, told As It Happens host Carol Off. It’s STAO Award Nomination Time!!!!! Are you working with an outstanding colleague, someone who has inspired you in your career? Have you wished that that person could be recognized for his/her contributions to the teaching of science? 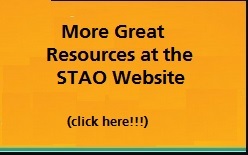 STAO can help you with that recognition. IRWIN TALESNICK AWARD FOR EXCELLENCE IN THE TEACHING OF SCIENCE: to recognize excellence in the teaching of science in Ontario. JACK BELL AWARD FOR LEADERSHIP IN SCIENCE EDUCATION: for STAO/APSO members who have demonstrated outstanding and sustained leadership in science education in Ontario over a period of many years. STAO/APSO EMERITUS AWARD: for a STAO/APSO member upon retirement. 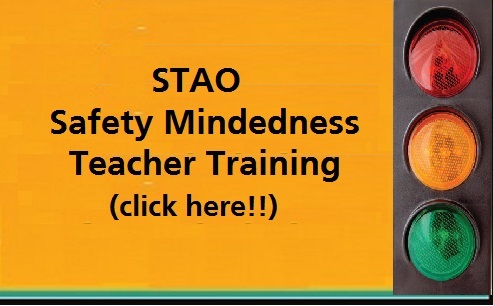 STAO/APSO MERIT AWARD: to recognize a member’s leadership and excellence in the teaching of science. It’s not too late to nominate a colleague, a mentor, a respected educator for one of these STAO Awards. Note that the nominator and nominee must be STAO members. Please forward this notification to all colleagues and ask them to forward to their distribution lists. We want to recognize all deserving Ontario science educators.